Dirty boy, originally uploaded by Venus In Furs. It was another gorgeous day here in Brooklyn- with temperatures in the mid 50s and the ground mostly dry. 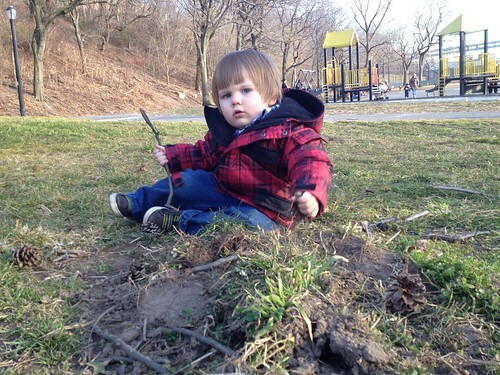 His interest in playing in the dirt still trumps the other children and play structures for now.